Influenced by Vygotsky and contemporary sociocultural authors, I have aimed to understand the genesis of development in context. I have studied mother–infant interactions and proposed that they are the origin of “construction zones” (M. Cole). 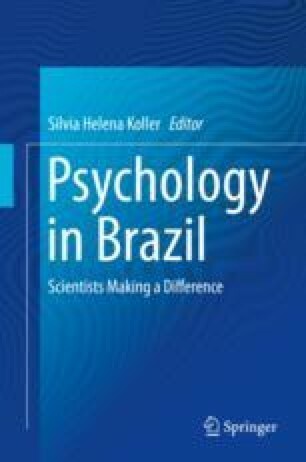 The “development niche” (S. Harkness and C. Supper) of Brazilian children was the next focus of interest and a series of investigations dealt with mothers’ beliefs and practices. The main contribution in this set of studies was to include different contexts of the country, in contrast to cross-cultural research that compares small groups of different countries. The need to understand further the context in which development occurs leads to the search of an integrated evolutionary and sociocultural perspective, and a theory of trajectories of development. Furthermore, we have argued that Brazil is a good laboratory to test some hypothesis of Kağitçibaşi’s theory, and we have conducted studies that have identified in Brazilian groups a trajectory of development of the self, named by the author as “related autonomy.” Future studies need to deal with measurement difficulties, and the ontogenesis of related autonomy, but the most important is to pursue theoretical discussions to understand development as both a phylogenetic and a sociocultural product.